If you want an car charger for your macbook pro you don’t have to buy anything extremely expensive. Of course, that is entirely up to you but you will get a long way with buying an inverter instead. We are (at least myself) taking with us more devices than ever. We are not only bringing our laptops but also smartphones and tablets. All of them want their share of power and it is my suggestion that an inverter is the best and cheapest choice if you want to charge multiple devices at the same time. Its a device you plug in to your cars 12-volt outlet. It converts it into 120V AC power. It looks like this: and is a bestseller on Amazon. As you can see it also has USB ports on its side. Meaning you can charge your smartphone or any other USB device at the same time charging your laptop. Make sure you have an eye on the watt though. 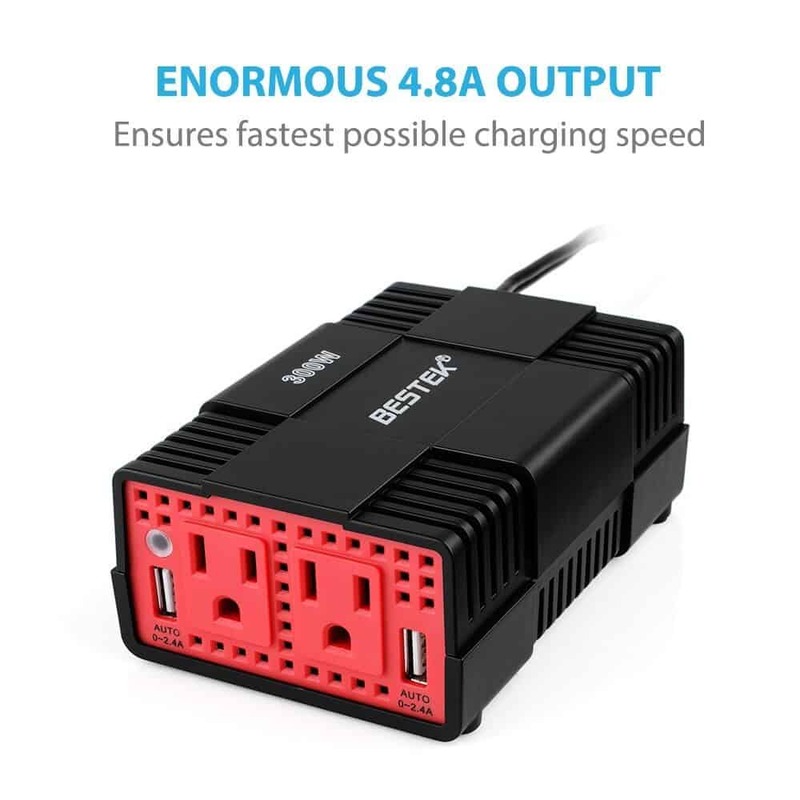 The one pictured above is rated for 150w and the biggest charger Apple ships with their laptops is rated at 85W so it should be plenty of headroom for you there. Get one yourself at amazon.com, they also have an cheaper model rated to 75W if you want to save a few bucks.